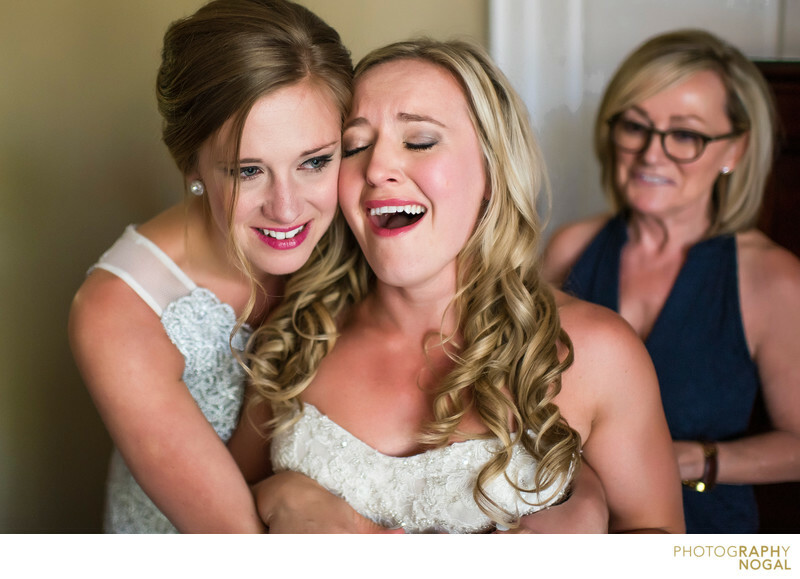 This emotional Bride shared a beautiful moment with her Bridesmaid, who was the Groom's sister, during getting ready. They talked about how amazing the day will be and how beautiful the Bride looked. I was lucky enough to be there to share this moment with them and so grateful that they shared their emotions with me. Trust is such a key component of a working relationship with a wedding photographer. It allows you to open up and allow the photographer to be part of your world.